Having spent the past five or six months hibernating and letting Winter do her thang with the elements, Spring has finally woken up and sprinkled a bit on sunshine on the city. 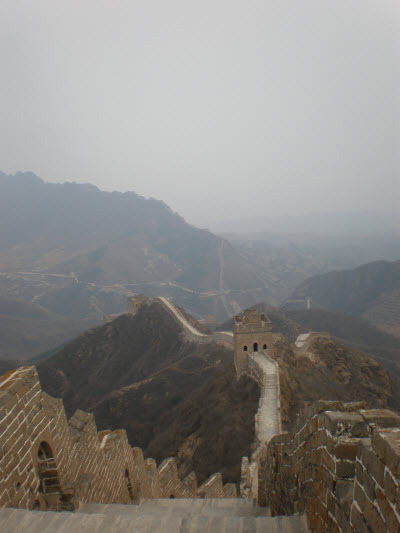 In fact, Spring’s sunshine came to Beijing a few weeks ago, but the trees and flowers were slow to react, as this rather barren photo on the great wall shows (this image was snapped about 2 weeks ago). 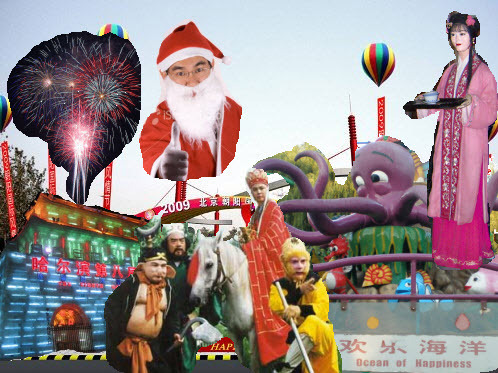 However, as soon as I entered the park, I was immediately surprised. 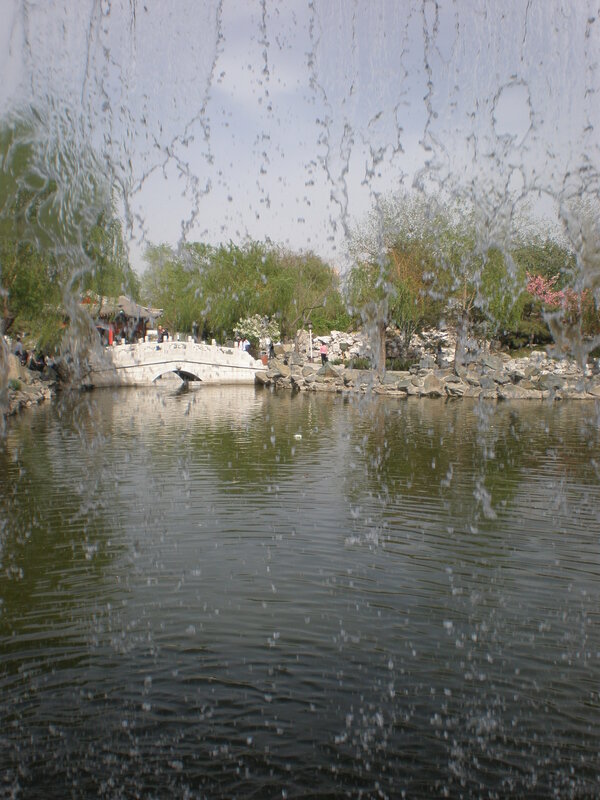 Stretching across 32 acres, dotted with courtyards, pavillions, archways, rocky hills, trees, ponds and streams, the park wouldn’t look out of place in the historical town of Suzhou – famous for it’s gardens filled with such archetypal Chinese scenery. 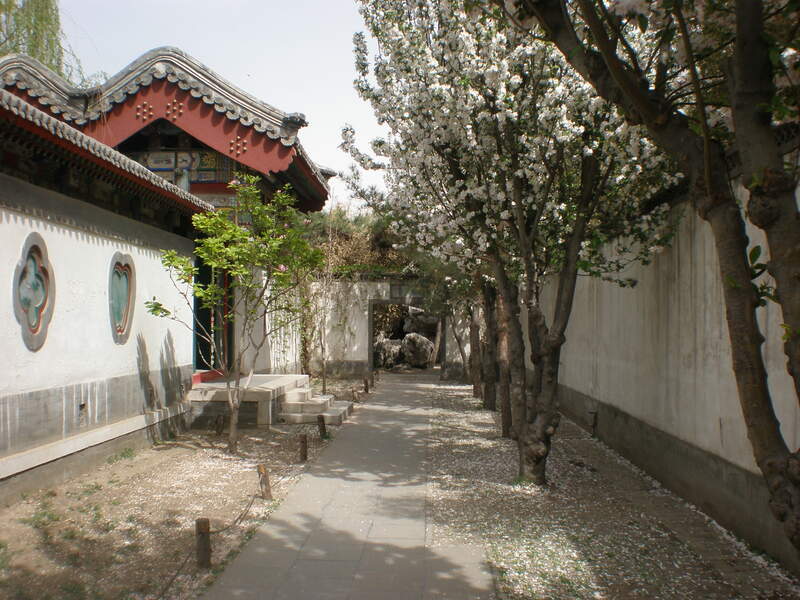 The park was built for the TV serialisation of the classical Chinese novel, Hong Lou Meng (红楼梦). The book focuses on the events that face the prosperous Jia clan as they fall into and, subsequently, out of favour with the emperor. The park was built to imitate the magnificent garden which forms the setting for most of the novel. The blossom was swirling about and its fragrance on the wind was amazing; I wish I could bottle that scent and wear it as perfume. A Chinese girl gets to experience being a model for the day. 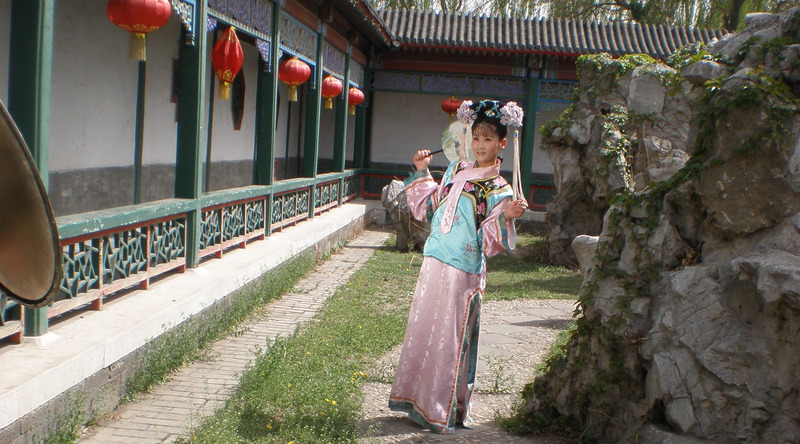 Chinese parks often have dressing up booths, which give you the opportunities to dress up in traditional costumes and have your photo taken. Myself looking rather less lovely than the Chinese girl above. The view from the mini water fall in the corner of the park. Yup that’s right, it’s the header image. I wish I had taken more pictures. I usually do. I will take more for my next post. Ditan park, a rather sleepy and shady little park that houses a temple, is to be the site for the folk festival this weekend! More to come next time!